Hiring the Best Staff for Your School moves beyond typical hiring tools—résumés, applications, transcripts, portfolios, and artifacts—and adds effective strategies to the educational leader’s recruiting and hiring toolbox. Jetter hones in on the most crucial but often neglected element of talent searches—knowing candidates’ attitudes and dispositions about students, learning and instruction, leadership, and other crucial educational topics which affect schools today—and provides an innovative model for hiring the best candidates. This book presents a recruitment and hiring process that uses narratives to help school and district leaders delve deeper into understanding the emotions, ideas, reactions, and problem-solving insights of candidates. 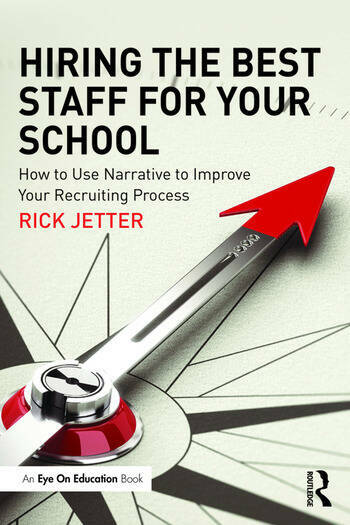 The ready-to-use resources found in this book, including real examples of the narrative process in action, dialogues, and as a training process, are easy to implement and will strengthen the hiring process to ensure that you recruit and retain the best staff members for any position within your school or district. Rick Jetter is an Educational Consultant, motivational speaker, and Director of Business Development at a leading educational resources company in New York State. He has been an educator for 17 years, as a teacher, assistant principal, principal, assistant superintendent, and superintendent of schools.